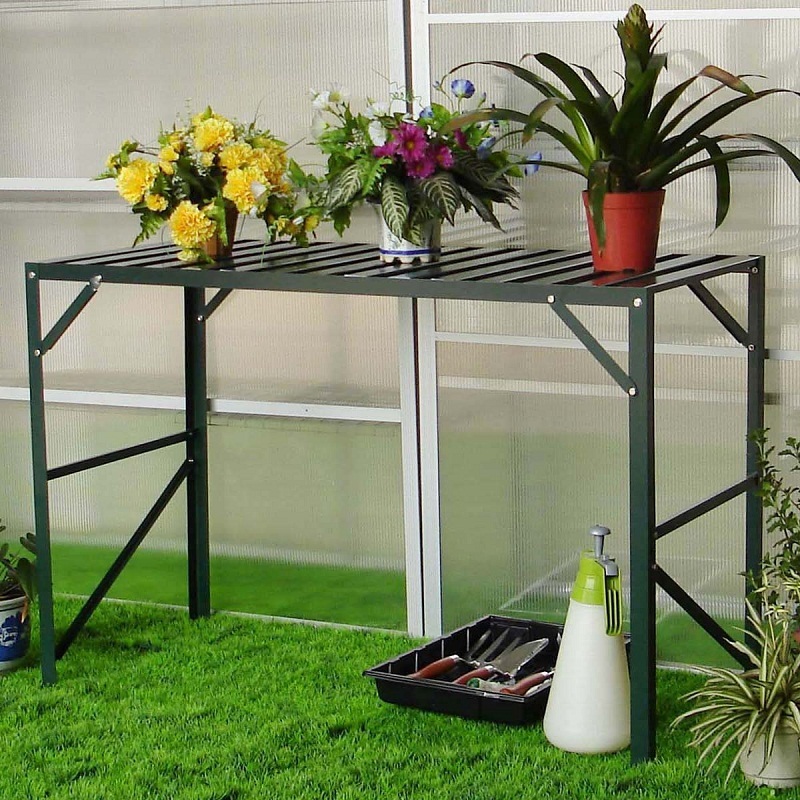 Taylors Garden Buildings are pleased to offer a variety of potting tables and benches to complement your greenhouse or garden shed. 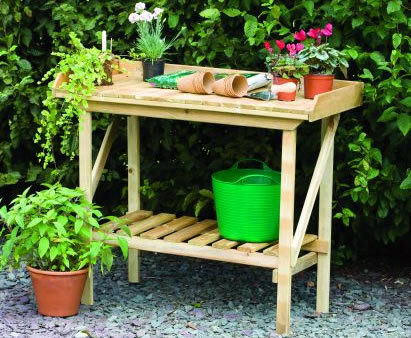 Potting benches are ideal working surfaces for doing all those fiddly tasks such as seedling pricking out and potting of your tender young plants. 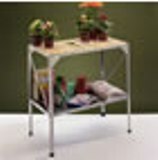 This 2 tier staging unit is constructed with aluminium and is available in 2 finishes - silver or dark green. 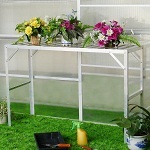 Ideal for any greenhouse, potting shed or growing area and also suitable for storing small plants and seed trays. Greenhouse slatted staging which is made from Galvanised Steel. 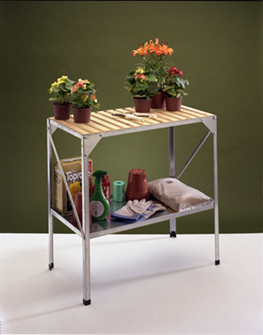 This 1 tier staging unit is constructed with aluminium and is available in 2 finishes - silver or dark green.